TVAddons.ag myseriously went OFFLINE the morning of June 13th, 2017 (Tuesday). Why? We’re not sure yet. But sources speculate that TVAddons.ag could be experiencing one of the following (or a combination)..
Undergoing maintenance. Kodi Forum users and Reddit users report talk of “reworking” TVAddons servers for several days now. Since TVaddons.ag is based out of Antigua, many standard legislative processes don’t apply to them. Being re-vamped. One user reports that the “begin-here” folder of Fusion Installer had a note just before going offline that said “Big changes are happening in the next couple days, so stay tuned”. or even Shut down permanently (but most likely not) in the wake of recent Phoenix TV Addon being shut down, as well as other Kodi addons (see below). Being re-shuffled into different repositories, like how Exodus now appears in the Cazwall Repo. We do know Kodi fans rely heavily upon TVAddons.ag to provide many of the Kodi plugins that Kodi users find essential, such as Exodus (we’ve received mixed reports on our Facebook page about Exodus being Offline for some and Online for others). Install Exodus with the “Cazwall” repo (click here to go to the Cazwall repository). Use our Install Exodus with Cazwall Repo tutorial. 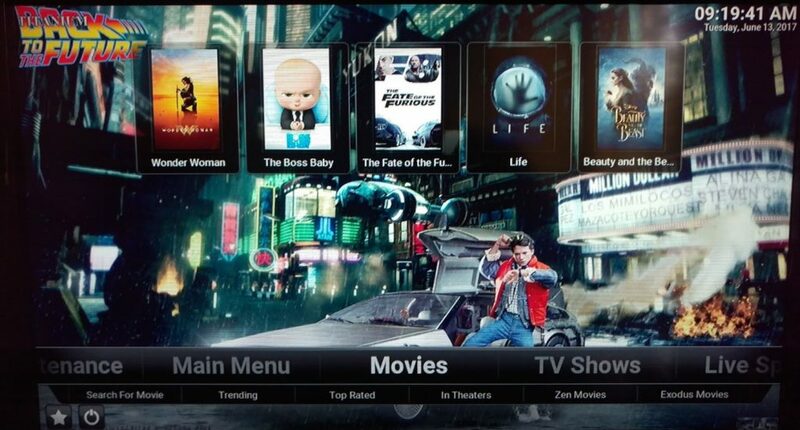 With the Simply Caz repository, you can also install Elysium (the new Zen), Evolve, and many other TVAddons. Exodus Install Tip: Exodus can now be installed with the Cazwall repository (link). Indigo Wizard / Fusion Installer Tip: Indigo Wizard can’t be installed from the normal Fusion Installer source, since http://fusion.tvaddons.ag is offline. But here’s a mirror (“alternate“) download link for Indigo Wizard – and a second alternate. Good luck! So here are the best TVaddons.ag alternatives, the best Kodi addons still working, and the ones that are offline now or going offline soon. Many TV Addons still work just fine. But the big players took a series hit today (Exodus was part of the TVaddons.ag going offline, for example). ProTip: All of the “working” addons below are pre-installed in Kodi 17 Titanium Build. Use my tutorial video (scroll down) to install Titanium Build in Kodi 17 on Firestick or any device. Bob (via Titanium Build) – Online and streaming in HD, ladies and lentil-men! Specto Fork – Still Online! Specto Fork streamed an HD movie for me about 10 minutes ago. Zen – The Zen addon worked for me this morning (yes, it’s Online), although it’s supposed to be shutting down or already offline.Either way, Zen for Kodi should still be available in the “noobsandnerds” repository. NoobsAndNerds will be taking care of Zen. Word on the street is Zen is being reincarnated as “Elysium”. More updates coming soon.. This is a picture of my Firestick running Kodi 17 Titanium Build, which still streams movies just fine. The following Kodi add-ons are offline. 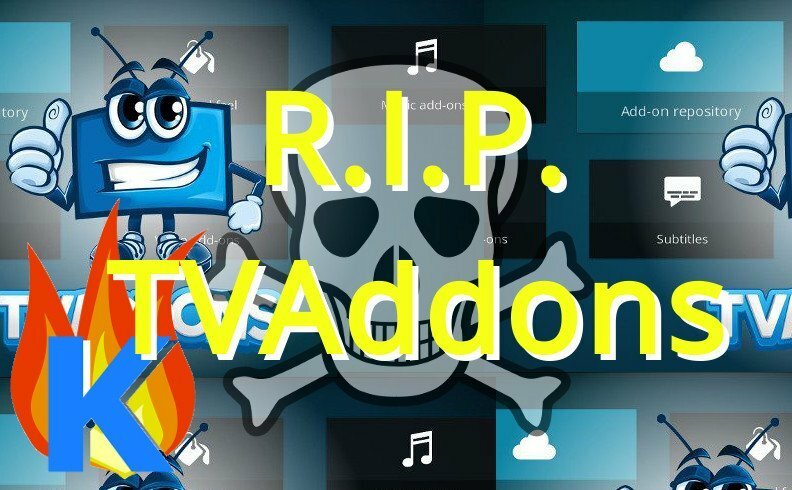 TVAddons.ag – As of this morning, the TVaddons.ag website is Offline. 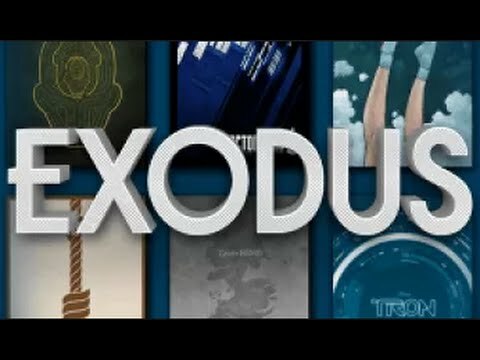 Exodus – The beloved Exodus Kodi addon is Online for some and Offline for Others. 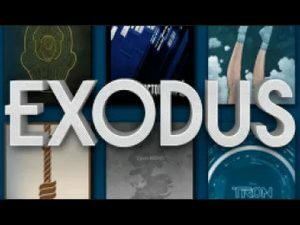 Exodus works fine in Kodi after re-installing Exodus with the Cazwall Repo. For users who haven’t yet reinstalled Kodi from SuperRepo or Simply Caz Repo, expect iffy performance from Exodus. Phoenix – Shut down & confirmed as offline via testing earlier this morning by some Kodi users. Although other users report they can play streams fine with Phoenix. 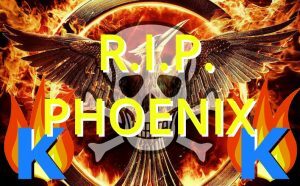 Rest in Peace, Phoenix addon..
Indigo Wizard (and Fusion Installer) – Unavailable from the normal Source since TVaddons.ag is offline, but available from Mirror Links (below). TVAddons.ag hosts the File Source for Indigo tool, so that’s offline too. 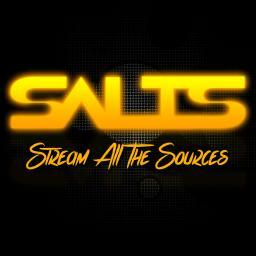 SALTS – I tried streaming with SALTS this morning, but it was Offline for me. Some users report that SALTS still works fine for their Kodi installation. TVAddons not working? That’s because the file server is offline. Could not connect to repository? Once again – you’re seeing this because the TVAddons server is offline. No stream available error? Yes – this error is also caused by TVAddons going offline. ZEN – Zen will be going offline soon, but still works for now. Ccloud – Going offline soon. Which Kodi Builds Still Work Well? I’m using Kodi 17 Titanium Build and still works great! It has such a wide variety of Kodi addons that the TVaddons.ag shutdown seems to have not effected this build significantly. Q: Will TVAddons.ag go back online? Q: Is the http://fusion.tvaddons.ag Source doomed? Probably not. Instead, check out Ares Wizard or Kodi 17 Titanium Build. Q: Can we keep the spirit of TVAddons alive by creating our own addons anonymously? Yes! It’s easy to make your own Kodi addon that pulls from YouTube movies uploaded by anybody. This is one fast, easy way to make your own TV addon. Then you can anonymously upload it to a file storage service and tell others where the .zip file is located. 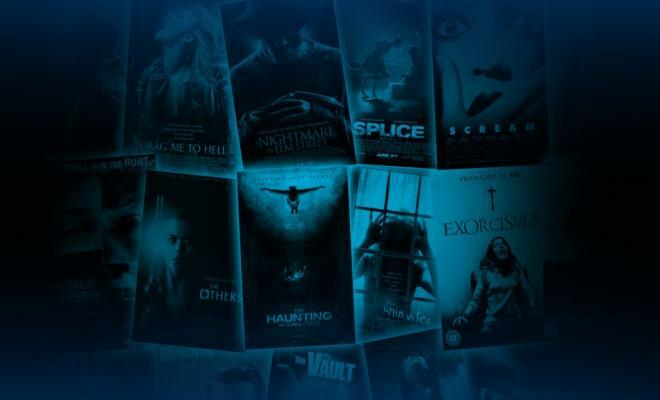 This way, other Kodi users can download and use your TVaddon! Advanced users can try to make their own actual Video addon. But with the recent news about Kodi addons shutting down and being prosecuted, this is unlikely. Although if you do create, publish, and upload your Video addon anoymously – there’s theoretically no way for them to know you made it. What alternatives do I have to TVAddons.ag? Literally every other TV or Video addon made for Kodi could work as your alternative. So try Bob, Specto Fork, or any other TV addon not in the “shut down” list at the top of this page. But my suggestion is to install Kodi 17 Titanium Build, which runs great on Firestick and still have some good ONLINE Kodi addons. 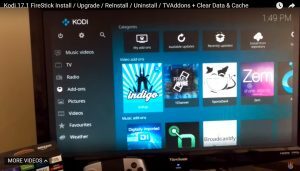 Which Kodi add-ons have shut down so far, and which ones are still online? Stay tuned for more Kodi addon shut-down news to come as it surfaces.. I realize you seem to like the Titanium Build and seem to be basing your information on it, but Exodus is not offline, not if you have it previously installed. You can’t install Exodus, but if you had it installed prior to all of this happening, it is functioning exactly as always. I just checked prior to writing this at 3:45 PDT. If tvaddons.ag is really gone for good, then it likely will stop being updated, but for now, Exodus is 100%. Hi Chris! Thanks for your comment. The reason I focused on Titanium Build is because it pulls movies from various sources (Exodus, Bob, SALTS, etc). So it allowed me to test multiple sources quickly – right after TVaddons.ag went offline so I could get the information out quickly. At the time I tested it, Exodus gave me a 0% success rate. Hey Rog, thanks for the great comment; it’s really appreciated! This project is still in its infancy, so be sure to check in periodically for updates. There’s some great stuff headed this way soon. My Exodus is working right now. Thanks Will! If you had Exodus installed prior to TVAddons.ag going offline, then it should still work. But if you go to install Exodus from the usual http://fusion.tvaddons.ag Source, you’ll see it’s offline. Exodus is working for me, though the “New Episodes” section does not show any result. Hmm.. what version of Kodi are you using? Ok so I’ve managed to download the titanium build and it’s just crashing and really struggling and the whole fire stuck is generally slower. Can you advise on how to go back/uninstall? Hey Lydia. If all you want to do is reset the Fire TV Stick to its factory settings and then install a different build, you can do so by holding down the back and forward buttons on your remote at the same time for about 10 seconds. This will bring you to the reset options. I hope this works for you; let me know how it goes. I don’t really want to go a factory reset as had exodus on there via cazwall beforehand. Just would like to disable/remove the titanium build if possible as that send to be the but causing the problems? Hey Lydia. As far as I know, there is no way to automatically uninstall a build aside from an entire reset of Kodi. The only way, which would be painful with nearly any build, would be independently removing each bit (add-on, wallpaper, plugin, repository, etc) included in the build. It’s fairly easy to reinstall Exodus from the repositories mentioned in Ian’s recent article. I would like to suggest that you try Covenant, though. It is a fork of Exodus that is being actively maintained. I was wondering what is an add on you suggest for watching live sports and how to install? Thanks. Hi Audra, you can check out our recent SportsDevil install guide, which will get you a ton of live streaming sports. Hi! My Firestick hasn’t been working to its full potential lately. A lot of movies that come up are in 720. There are no 1080 or HD uploads. Why?? Do i really need to install an IPN?? Hi Colleen. A VPN does make it possible to keep your data and identity private, appear to be accessing the internet from somewhere else, and much more. It’s possible much of what you are trying to stream is being blocked because your internet activity is seen by your ISP. That wouldn’t happen with IPVanish. You might also check out some of the newer video add-ons we’ve written about lately. For 1080p movies, I’d suggest 1080p Movies, Monster Munch, Covenant, or Bob UnleasheD for now. Thank you so much. I’ve tried for three days to add Kodi Tv addons with Fusion and it couldn’t connect. I tried uninstalling and reinstalling several Kodi’s but kept getting the couldn’t connect. After watching videos I finally know that fusion was removed or dead. I kept trying until I came across your video and web page. Your video was easy to follow and very very helpful. Thank you very much, your video and instructions were fantastic.